Sonnet L’Abbe first caught my attention at the 2012 Convergence On Poetics at the University of Washington Bothell’s where she gave a presentation, “The Nervetree”: Ronald Johnson’s Metaphor of Embodied Mind.” We struck up a correspondence and I discovered we were both working on sonnets, and more particularly Shakespeare’s. 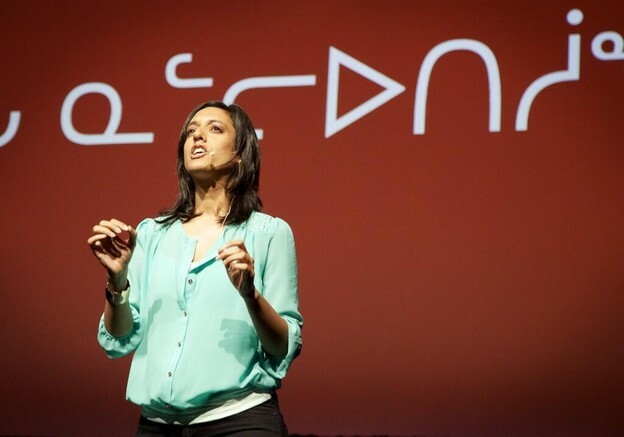 Her project Sonnet’s Shakespeare or Colonized Sonnets is a long term one in which she “colonizes” each of Shakespeare’s sonnets “by crowding” to act as a metaphor for how Canada was colonized and native people were divided. Watch out for fake poetry. It plants ideas in the brain. It’s shape-think. It may fake the character of woo, so deep, but this phony speech hates the right knowledge. Its figury attitude to the correct mastery of true spirit whets stupid sympathies. Real news is for us to speak. Whinewashers don’t know how to register right what may be expressed. What dummy says love? Or says that daydreamers merit anything? Nothing, sweet boy, that them dharma bums try should get likes. Sonnet’s methodology for composition is a marvel, in its metaphor of reconfiguring the Shakespeare. She is in the midst of writing within and between the words and letters, adding to them to make a completely different poem. What’s even more is how she is using the form to comment and riff on the loaded issues of the day. Elaine Scary’s new book she speculates that the beloved’s names may be hidden within Shakespeare’s sonnets. Sonnet is doing something radically akin to that – creating a new version of the poem with hidden codes within as generative puzzle heart. On January 26th of this year we performed together at Vivo Media Arts in Vancouver. Tradition has it sonnets’ aims are to glorify love, and lovers. Then how must my forays into these lines make us beholden? When I originally conceptualized this colonization, Will’s leavings were just source, just canon fodder for my fearlessness. My war-like, dominant hankering set upon those poems’ boughs a weight, inch by inch, to reshape and fork their meaning for my gain. In song accompanied by guitar or recitation, Brown and L’Abbé explore and expand the sonnet form, responding to Shakespeare’s depiction of flowery love or, as in the above example, using the sonnet to reflect upon the process and implications of “colonizing” text. The presentation took up the sonnet as a sonic experience that acts differently upon us that reading text. I am really loving this book project as well as her recent chapbook, Anima Canadensis. Sonnet now lives and works in Vancouver, British Columbia at the University of Vancouver. She has published two books of poetry, A Strange Relief and Killarnoe, and was also the guest editor of the 2014 edition of Best Canadian Poetry. Her chapbook, Anima Canadensis was published by Junction Books in 2016. Her twitter feed rocks as does her POETRY! 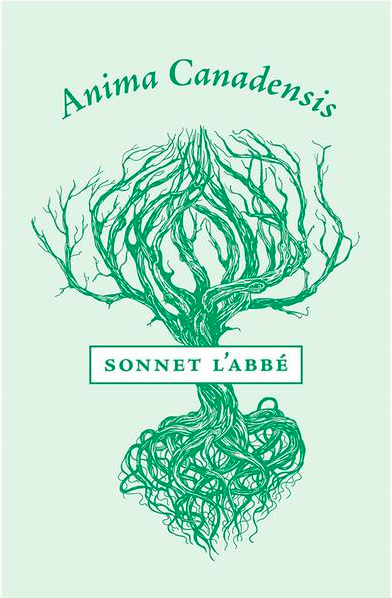 Watch for more from Sonnet L’Abbe! Lee Ann Brown was born in Japan and raised in Charlotte, North Carolina. 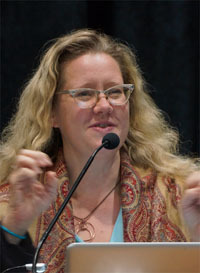 She attended Brown University, where she earned both her undergraduate and graduate degrees.She is the author of Other Archer, which also appears in French translation by Stephane Bouquet as Autre Archere (Presses Universitaires de Rouen et du Havre, 2015), In the Laurels, Caught (Fence Books, 2013), which won the 2012 Fence Modern Poets Series Award, as well as Crowns of Charlotte (Carolina Wren Press, 2013), The Sleep That Changed Everything (Wesleyan, 2003), and Polyverse (Sun & Moon Press, 1999), which won the 1996 New American Poetry Competition, selected by Charles Bernstein.